Byte Foods, a refreshment services company that developed its own technology to provide refrigerated glassfront merchandisers that allow customers to select product from the machine and pay with a payment card, has changed its name to Byte Technology to focus on providing its technology to food retailers. 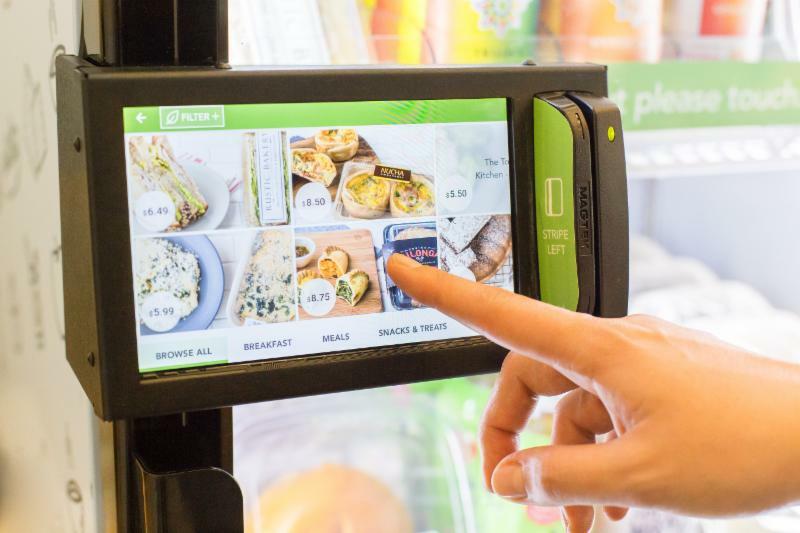 “Byte Technology allows food retailers to sell products in locations they’ve never before had access to by using Byte’s small footprint unattended storefronts,” Lee Mokri, co-founder and vice president of sales and marketing, told Vending Technology News in an email. The glassfront merchandiser has an electronic screen at the top left displaying the menu, ingredients and the price for each item. Customers open the machine door by swiping their credit, debit or prepaid card. Each item in the machine has an RFID tag embedded in its packaging that automatically charges the card once the customer removes the item from the refrigerator. Sensors automatically scan the inventory when the door closes and activate the charge for the purchase. The machine has an inventory management system that allows the company to monitor the machines’ inventories remotely in real time.